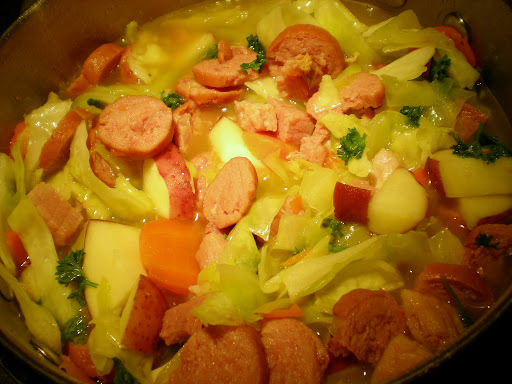 I've saved my best—and most authentic—Irish recipe for today. This is one of my favorite meals ever. I made it up after I had a dish called "Dublin Coddle" at an Irish festival a few years ago and I eat it all year long. One of the beauties of Irish Stew is the fact that it is very easy to make. 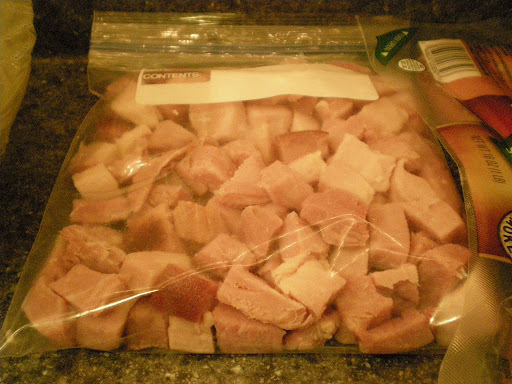 Essentially, you cut up everything, throw it in a pot for an hour, and then eat it. Simple, no? 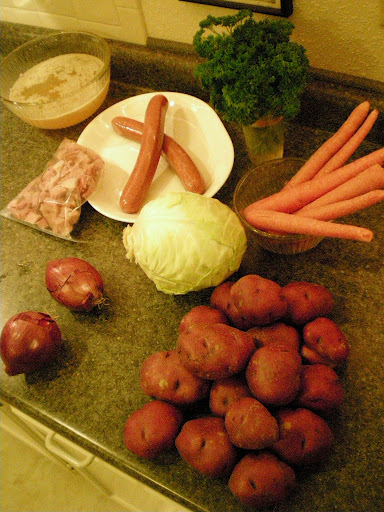 To be honest, this was actually the first time I've ever made Irish stew with a broth base; I usually just use water. 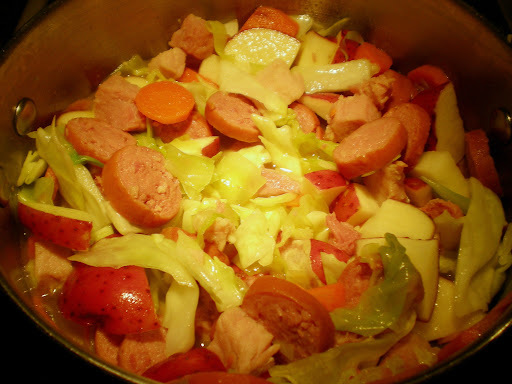 If you let Irish Stew simmer for an hour, the sausage (and/or ham) tends to flavor the broth just fine on its own. 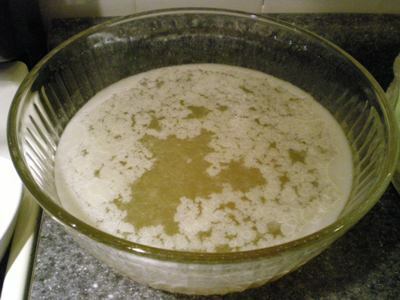 However, because I had purchased and carved up a large whole ham instead of my usual ready-to-go ham steak, I decided to boil the trimmings for broth. And my goodness did that make all the difference in the world! If you're not inclined to spend an hour or so carving and trimming an entire ham, you can always buy canned broth, bullion, or stock-in-a-box. Or, like I said, just let the meat in the stew do its work. First, fill the largest pot you have with about an inch or two of water and/or broth and set it to medium-low heat. 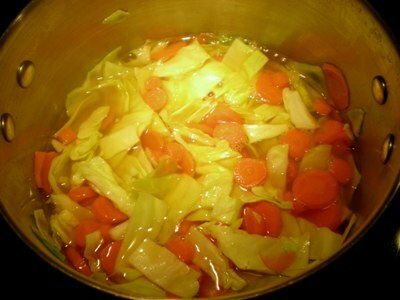 Next, chop the carrots and throw them in the pot. Carrots take the longest to cook, so you'll want to start them early. 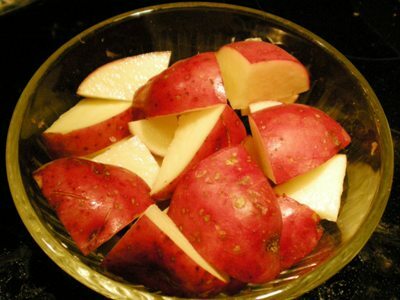 Then, cut up your potatoes and throw them in as well. 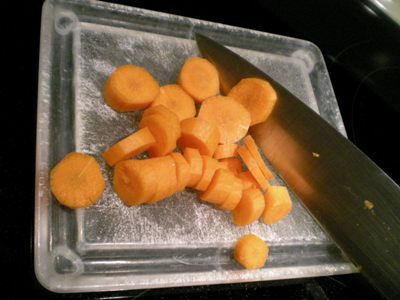 Cut them in large chunks because they will disintegrate somewhat as the stew simmers. 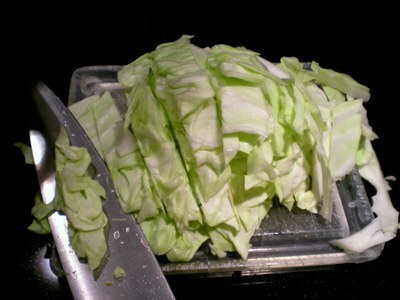 Guess who wasn't paying attention and skipped ahead to cabbage? You don't need to use both meats, but I often do. 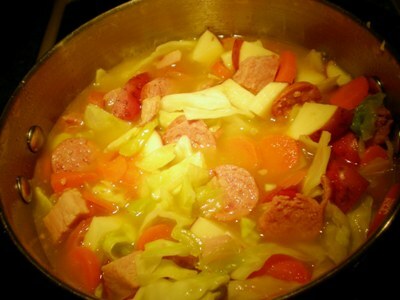 If you leave out one, note that sausage tends to lend more of its flavor to the broth than ham does. 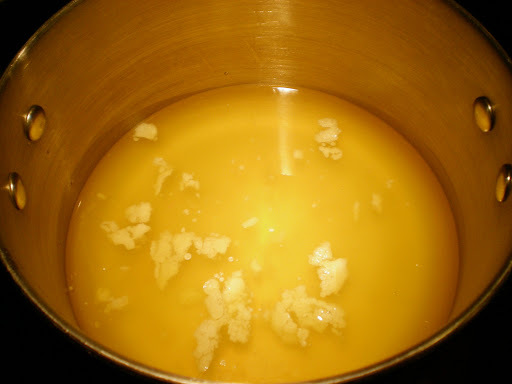 Although the water/broth level will rise as you add ingredients, eventually the pot will become so full that the ingredients will sit above the surface. Then—and only then—add just enough broth/water to submerge everything. 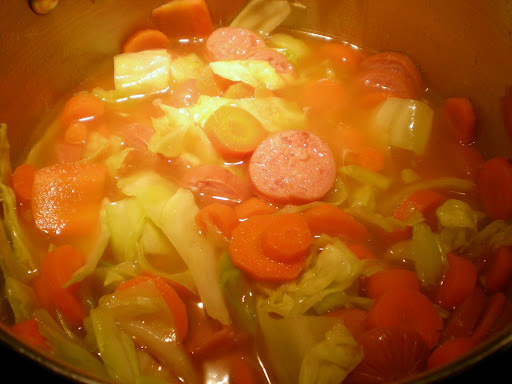 I subscribe to the belief that soup is thin, meager stuff while stew ought to be something so thick that a spoon stuck in it will remain upright. 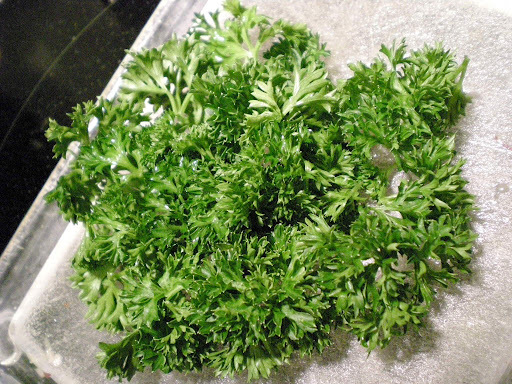 Finally, add in some parsley for color. Let the stew simmer, covered, for about an hour. That's it! I hope y'all like this dish as much as I do. For fellow vegetarians, I will note that I haven't had a good veg version of this yet. Does anyone know of one? All you meat-eaters should love this because it rocks!